Place your order to-day & we can usually have it to you by to-morrow or at the latest the following day. Of course there may be times when we can't fulfill this promise, for example if we are out of stock of that particular item. If this is the case we will notify you immediately, offer you an alternative product, or reschedule your delivery. We charge a flat $5.00 delivery fee in Melbourne Metro & $9.95 in Outer Melbourne, regardless of the dollar value, size or weight of your order. 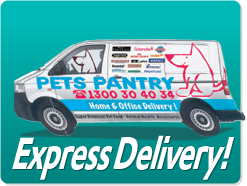 If you live outside of Melbourne, we offer you the convenience of either our FAST & competitively priced Courier or Mail order service.